Myths - Yes on wGPA! Myth 1: All colleges recalculate GPAs. Fact: About half of US colleges do not recalculate GPAs. Myth 2: There are more AP and Honors courses in STEM than in humanities. 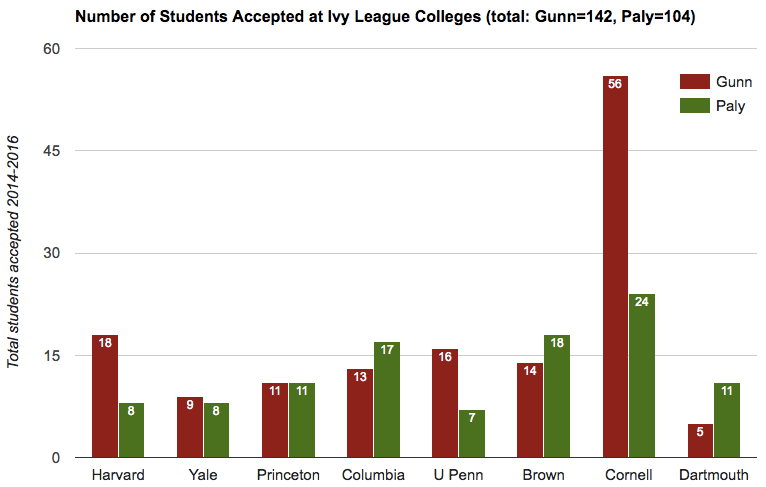 Myth 3: More Paly students are accepted by Ivy League colleges than Gunn students. Myth 4: Weighted GPAs will enable students to be ranked. Myth 5: Weighted GPAs can be reported upon request. Fact: Some colleges require all students to report the same way. For example University of Oregon only accepts weighted GPAs if they're reported on all students' transcripts. Source: Parents called University of Oregon.